You are currently browsing this article’s comments (below). If you would like to read the full story, then you can see the complete entry here: “Adobe CC 2013 Direct Download Links: Creative Cloud 2013 Release”. Oh, I didn’t notice the download instructions at the top of this page. This is a great site! 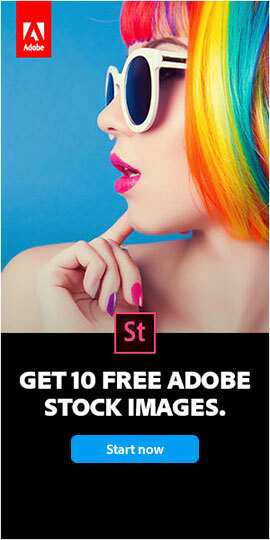 However, I already downloaded Photoshop CS6 instead for I managed to find direct link of it. Thank you for the response and I’ll use this for the next Adobe CC software that I will install. Glad to hear it Ralph – and yes, we also have the complete direct download links for CS6. Can you also post the Photoshop CC trial links along with their newest updates… The latest Photoshop CC version is 14.1.2. Can I download the newest trial of Photoshop CC 14.1.2? Yes indeed, here is the solution posted here earlier for that. Hi, Thanks for these direct links… very handy to have. I have one problem however, after installing these it seems the Creative Cloud Application Manager does not recognise that I have them installed and so doesn’t offer me the updates. I’ve tried reinstalling the AAM. Hey Tom, in order to receive ongoing updates and upgrades for CC tools you also need to download and run the CC Desktop (CCD) app, which is listed in the direct link table above. Hey, thanks I think I already have that… is that the app that sits in the top OSX menu bar that shows the list of creative cloud apps? Not sure that really works. When I tested this before, the only way I could do updates was if I downloaded the apps from CCD. Has something changed with the latest CCD update? Anyway, I want to test 10.9.1 and I don’t want to download the software again with CCD because I have to be booted to that partition to do that, and I really don’t have the time to do that so I was going to install the trials which I have already downloaded. I’ll let you know if I can figure a way to update them then. By the way are there links to the CC app updates anywhere? Hi Doyle, not sure why the updates wouldn’t work for you… It’s what Adobe says should happen, and it works for us. 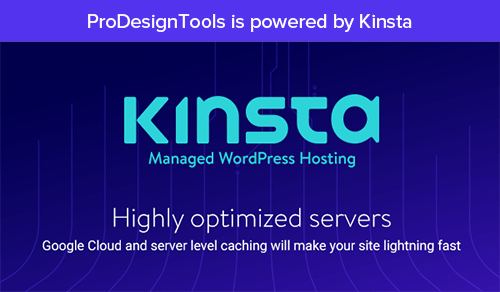 Then, after finishing the installs and restarting the computer, pending updates for all three tools appeared automatically and were available for further download from the Creative Cloud Desktop dashboard the next time we logged into it and checked. Are you sure you’re running the latest version of the CC Desktop app? If you go to Preferences > General and look in the Account tab, it reads “Creative Cloud 1.4.1.351” (released on 2/12/2014). 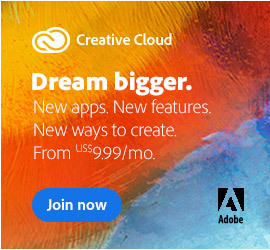 That said, one user commented the other day about “strange things like missing updates and re-appearing new installations” – in other words, the Creative Cloud Desktop App manager has been a bit buggy since it was first released, which is one reason why offer all the CC downloads here without it. But if it’s still not detecting installed apps (or recognizing uninstalled apps), then try uninstalling and reinstalling it for a fix. No, unfortunately Adobe does not make the CC product updates easily available for individual direct download… They used to do this, up until CS6 – but have stopped with CC. In special cases we can find out where separate updates/patches live (like for Photoshop CC 14.1.2), but it’s a lot of detective work as there is no master list. Using chrome, open developer tools and copy the HTML code of the table. Open an Adobe page and using the developer tools insert the table anywhere on the page. Links clicked will now appear to come from Adobe’s site (the referrer) and it happily lets you download all links :) Just been doing it now. There is something strange when you click on “Download now” at the Acrobat XI (link to create the trial cookie). The button loads but it is a Flash animation. I did not like it, it did not happen on the last time I downloaded Adobe CC trials and IT DOES NOT SET THE TRIAL COOKIE anymore. Instead, access http://www.adobe.com/cfusion/tdrc/index.cfm?product=photoshop_elements and click on “Download now” at the Elements page. Now, come back to the table at this page and start the download. It will fail again. It is because we need to change the User Agent of the browser. In the “Access is denied” page, press . At the sidebar, scroll the mouse to the last item (a computer and a smart phone). In “User agent”, select “Custom” and write “Adobe Application Manager 2.0”. The page will automatically reload and download gonna start. In older IE versions, after pressing , select the menu “Tool > Change the user agent string” and select “Custom”. Type “Adobe Application Manager”. Well, everything continues to work fine on our end Eduardo, we haven’t noticed any changes or problems – but thanks for checking in with your suggestions. Normally when someone gets “access denied,” it’s simply because the download instructions aren’t followed carefully. Here also is a list of download tips to step through if someone gets stuck. Generally speaking, we don’t recommend using IE because it all too often drops the file extension(s) when downloading these files, so your computer then doesn’t know how to open them and you have to manually rename them to add the extension(s) back. hello bro, do you have setup master link for Photoshop CC 14.1.2? I mean not updates setup, because I see uploaders sharing under torrent P2P. 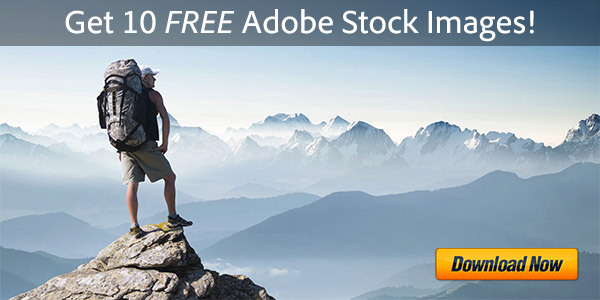 No, sorry – Adobe does not package it that way. If you see it any other way, it’s illegal and definitely not safe. Well, there are no .txt files here – only .exe and .7z files. So check to see what you have compared to the links you downloaded from (hover your mouse over the original links to see what they should be at the end). Hello, anyone know where I can get a CC updates? My Creative Cloud App has never worked. Where can I find the updates for CC on the prodesigntools website? My CC desktop app has never worked. Any guidance much appreciated! Well, for CC Adobe doesn’t make a separate listing of application updates available anymore like they used to – see previous comment above for more details. We are lobbying them that they should still do this, for cases like yours particularly. Our best advice is to make sure your CC Desktop App is fully up-to-date – a clean way to do this is uninstall the “Adobe Creative Cloud” program using your operating system, reboot your computer, and then download and run it again using the “CC Desktop App” link in the table above. I finally figured out how to install Edge Animate CC on Windows, since there is no .exe file given in Adobe’s download. 2. Then run Set-up.exe for Edge Animate to install it. It works 100%! However, the Edge Animate CC icon may be invisible so you need to find the icon using search in the Start menu and pin the icon either on start menu or task bar. Brilliant! We tested it and that really works! Fantastic Francis, thank you so much for finding and posting the solution. So now, it’s possible to download Edge Animate CC using the direct link above, and then install it standalone without needing the Creative Cloud Desktop app. You have to rely on copying those materials from the Photoshop package and moving them over to the appropriate place in the Edge Animate structure, but the technique works flawlessly. In fact, after installation on Windows 8, the Animate CC icon was already available everywhere, just like any other app. 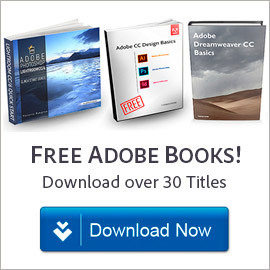 are the photoshop cc / illustrator cc links above just for win32? since i run a 64bit system, i’d like to know if the zip file actually contains also the 64bit version. So not to worry, you’ll get the right one for your computer. I am signed into my adobe account but I still keep getting an access denied message when I click the download links. Any suggestions? I have tried it in both Chrome and IE browsers. Hey Dawn, have you made sure to carefully follow the download instructions? They are essential even if you are logged into your Adobe account or are trying different browsers. “‘.CRDOWNLOAD.file’ is added to files that are in the process of being downloaded. Once the download is complete, the ‘.CRDOWNLOAD.file’ part of the filename is removed. Well, that source is correct Hinna – your file definitely did not actually complete the download. These are large files so may take some time to finish. And yes, stick with only safe/legit source of authentic CC direct download links like the ones here. An update on installing CC apps with being logged in. The only thing I needed to do was make sure I had the latest version of CC Desktop installed. This was on a clean install of Mac OS X 10.9.1. Installed ID, PS, and IL from saved installers. And ran all saved updaters and updated to the latest version. Didn’t need to go online once to download anything. Awesome with direct links but what about when new versions are released ? Like the new Photoshop CC v14.2. I only see the first version v14 here. Good question Eric. OK, so here’s the story. In most cases, Adobe does not change the direct download links for a given release; those remain stable even after the apps are updated… Instead, you download the base version (Photoshop CC 14.0 in this case), and then update the program using Help > Updates… These updates (like Photoshop CC 14.2 out today) are in the form of patches that download & install over the main/base product on your computer. However, the applications do not handle the updates themselves – they hand off the work to a download manager like the Creative Cloud Desktop App (which is available separately in the DDL table above). If you don’t have this kind of helper utility also installed on your machine, then there will be no automated mechanism available to down­load, manage, and install the software updates – you’ll have to apply the patch by hand. In that case, we do have the direct links for the cumulative Photoshop CC 14.2.1 patches available [Windows, 334 MB | Mac OS, 194 MB] – and if you’re technically inclined you can manually download and update the 14.0 version on your own. But please don’t do it unless you’re comfortable with that sort of thing without needing support! But generally, Adobe recommends having the CC Desktop App also on your system to manage all your CC tools, updates, uploads & downloads, file syncing, fonts, Behance, and more. Hmm, well not much except try a different browser, computer, or Internet connection – and avoid Wi-Fi if possible. The CC direct links all continue to download fine on our end when following the directions in the article. PS – On your other question:No, unfortunately Adobe does not make the CC product updates easily available for individual direct download… They used to do this, up until CS6 – but have stopped with CC. In special cases we can find out where separate updates/patches live (like for Photoshop CC 14.1.2), but it’s a lot of detective work as there is no master list. Yes, absolutely – in fact we posted the direct download links to the new Photoshop 14.2.1 update patch just three comments above yours! Look up a bit and you’ll find exactly what you’re looking for. I followed the instructions, and I’m logged in to my Adobe account, just as before when the download links worked, but today they don’t work. Hi Simon, thank you for the heads-up. Earlier today Adobe changed one of the inbound shortcuts on their site (for the Acrobat trial page) which we used to set their session cookie to enable the CC direct links… A very rare occurrence that they changed it, but without that cookie being set these links could not function. Fortunately we were just able to find another shortcut we could use for these purposes – so all the direct download links should now work again. First, be sure to do a hard refresh in your web browser because some of the content on this page has changed. Then just step through the download instructions above once again – and please let us know if you have any further difficulties, but you should be good. Thanks, it works again now! No worries Simon, glad to help and thank you once again for bringing it to our attention. That’s the first time in five years of running this site that anything like that has ever happened with our direct links! I’m unable to use the patch zip you provide for PS. When I run the setup I got a message saying that it does not apply to my case…. And I see no update available through the Adobe CC desktop update…. It is a real mess this new update system ! Hey Johny, sorry you’re having difficulty. What is the exact message you get? I can’t get the direct downloads to work? Fortunately, earlier today Adobe released Edge Animate 3.0 which now avoids all these problems because the complete package finally includes its own separate installer! So no more messing around is necessary, either on Windows or Mac OS. The updated direct download link for EA 3.0 is already reflected in the DDL table above. Just use that one, forget about 2.0, and you’ll be good to go. PS – And make sure to always carefully follow the download instructions in order for all the links to work.